Speedscreen established in 1986, boasts some of the most sophisticated digital print equipment in the world, operating from 18,000 sq feet of modern premises in Maidstone Kent. We are a forward thinking, dynamic business and consider ourselves a Print Solutions Company. We offer a diverse range of print processes to match any client's individual needs. Technology has moved on and in the 21st century clients need a company with 21st century thinking and hardware to match. We have invested over £2,000,000 in digital equipment and lead the region with the very latest technology from the very best manufacturers in the world. This does not mean we have discarded our roots of screen process printing, a service we still hold dear and will offer our clients for years to come. Many jobs are best suited to screen process printing from both a cost perspective and quality aspect. We hope the videos on this site speak for themselves and give you a virtual tour of Speedscreen, its facilities and a flavour of what we can do for you. 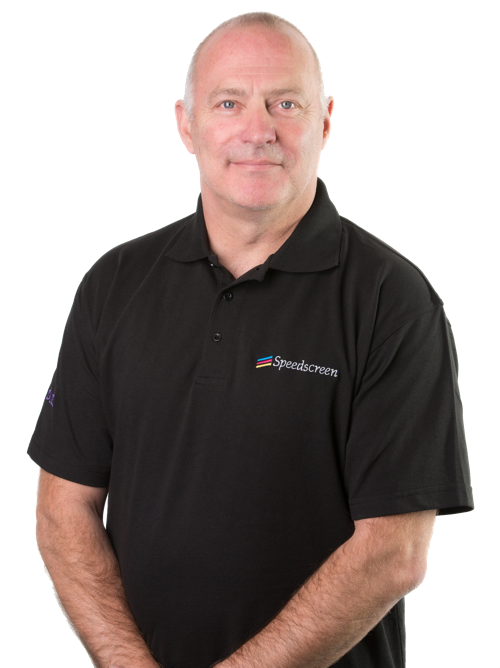 With a combined total of 75 years in the print trade, Tim and his senior team provide a very strong & experienced backbone to Speedscreen. Tim started the company in 1986 and most of the team have been with him many year. There is very little this group don't know about printing!